Software Engineer (Web Application) to support Information Systems IPT developing software solutions for ICBM Prime program intranet. Responsibilities include full life cycle software development including analyzing user requirements, designing and developing software applications, designing and implementing web site pages, performing software integration & testing, deploying software products, providing operations and maintenance support, developing user training, and developing related software documentation. Candidate must be able to work closely with Project Managers, Prime ICBM teammates, and Air Force customers in an integrated product team environment. Candidate must also be a self-starter, possess excellent communication skills (verbal and written), and have demonstrated abilities to work in a team environment. ALL WORK MUST BE PERFORMED ON SITE. Other Details/Requirements for this position: All work must be performed on site at Hill Air Force Base. Candidate must meet Air Force requirements to obtain base access. 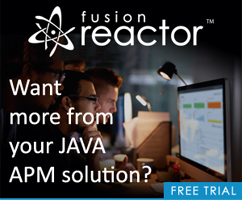 Want to try the next version of ColdFusion?